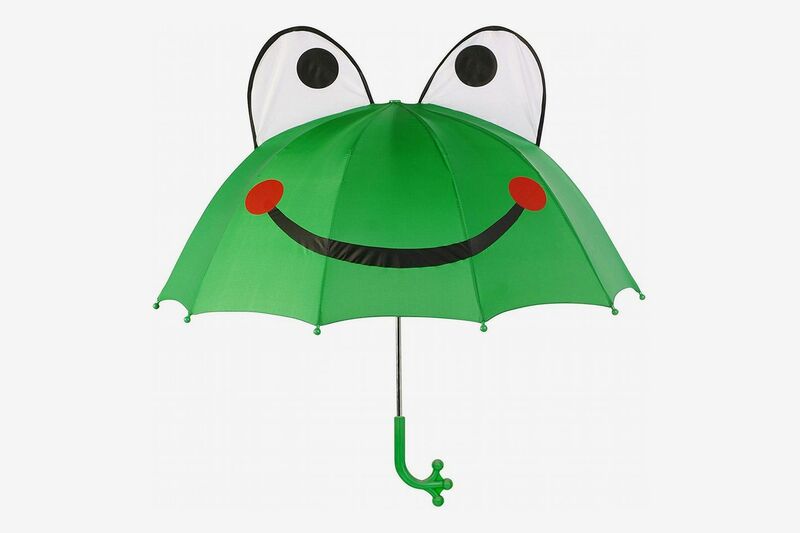 If finding the perfect umbrella can be a challenge, finding one for kids can be even tougher. They have to be well-designed, lightweight, and suit the tastes of a discerning, opinionated tiny human. 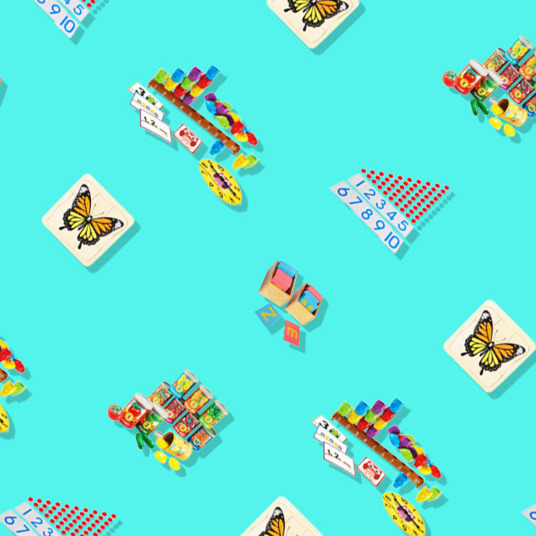 “When it comes to umbrellas for kids, looks are everything,” advises Fatherly branded editorial director, Tyghe Trimble. 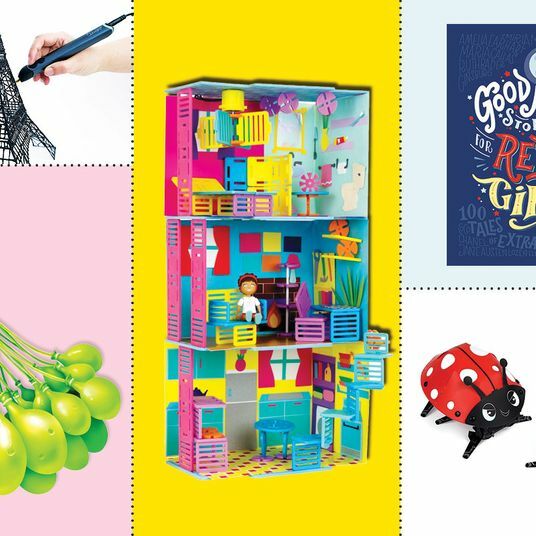 So for Rain Week, we asked kid experts, including parents, shop owners, bloggers, and editors, to share their favorite, kid-friendly umbrellas that are sure to keep little ones dry (and stylish). The Tote Kid’s Clear Bubble Umbrella was a clear favorite among the experts we spoke to. 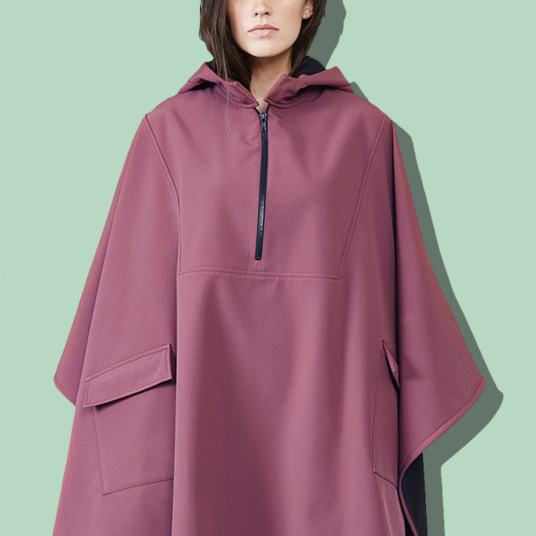 “It features a bubble dome to keep little ones extra dry and clear canopy so kids can see where they’re going; plus, it’s super-lightweight, making it a great option for toddlers,” says The Bump senior editor Ashlee Neuman. As lovers of all things transparent, it’s easy to see how this umbrella has racked up over 1,000 rave Amazon reviews. “Kids always find clear umbrellas fun (it’s a windshield! It’s a submarine! It’s a giant bubble! 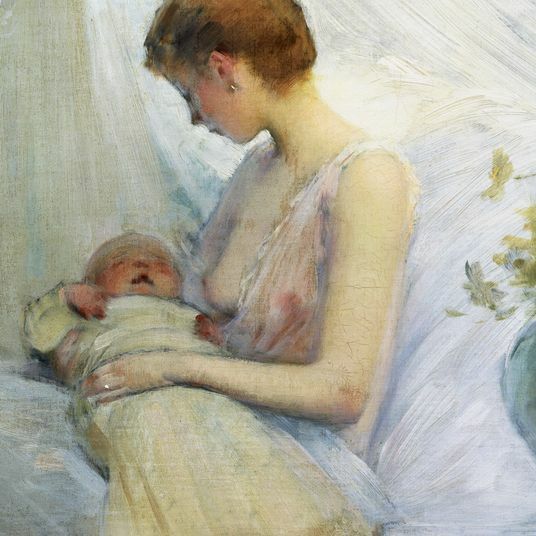 ),” adds Joanna Goddard of A Cup of Jo. 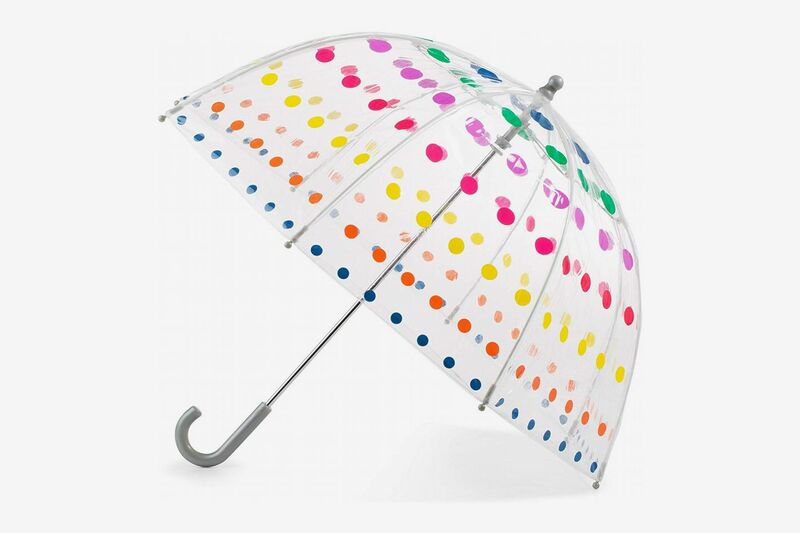 And if your kid doesn’t love the rainbow dots (although it’s hard to see that happening), the umbrella also comes in clear, pink, and blue. 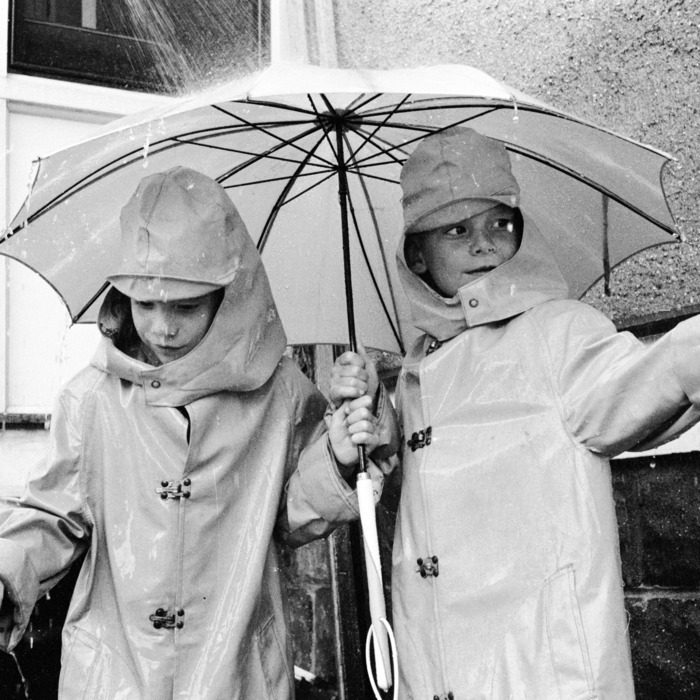 Two of our experts recommended the MoMA Kids Sky Umbrella. Even if the umbrella is well put together “you never know when your kid is going to decide to use them as swords or make a fort out of them. 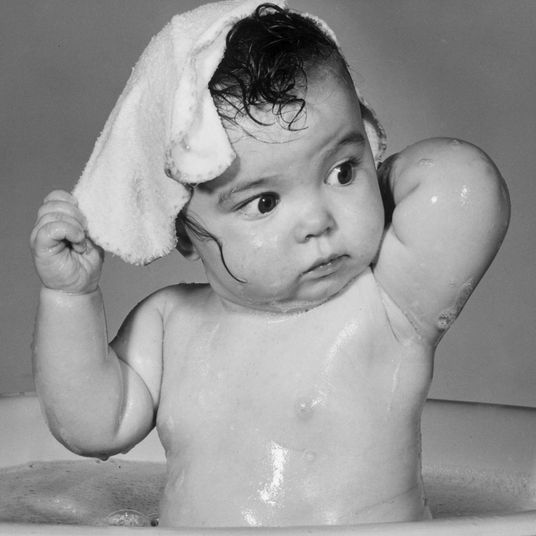 So at least make sure they’re cute!,” says Fatherly branded editorial director, Tyghe Trimble. He picked this one for maximum dad-and-kid-approved cuteness. 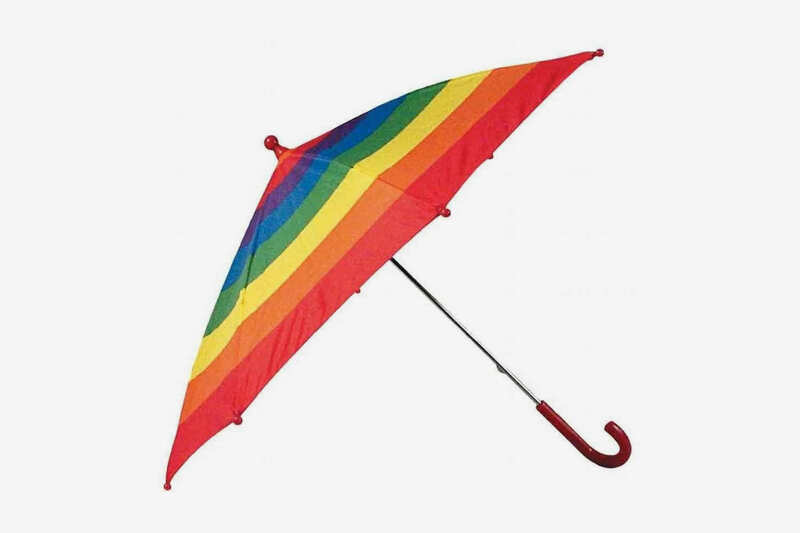 The sky umbrella also has plastic safety tips on the outer ribs and a kid-friendly safety frame. 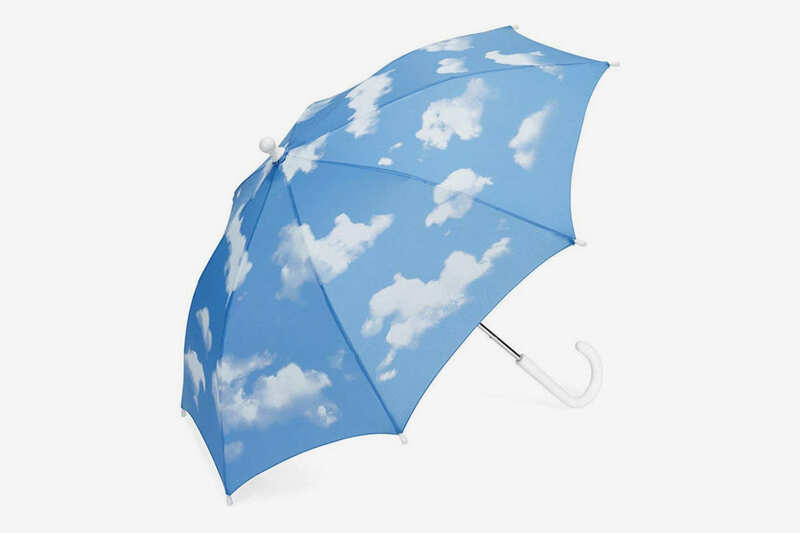 Goddard seconds this: “The sky umbrella gives you blue skies even on the grayest day,” she says. 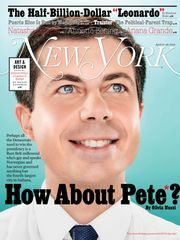 Fatherly editor-at-large and author of Can I Eat That? 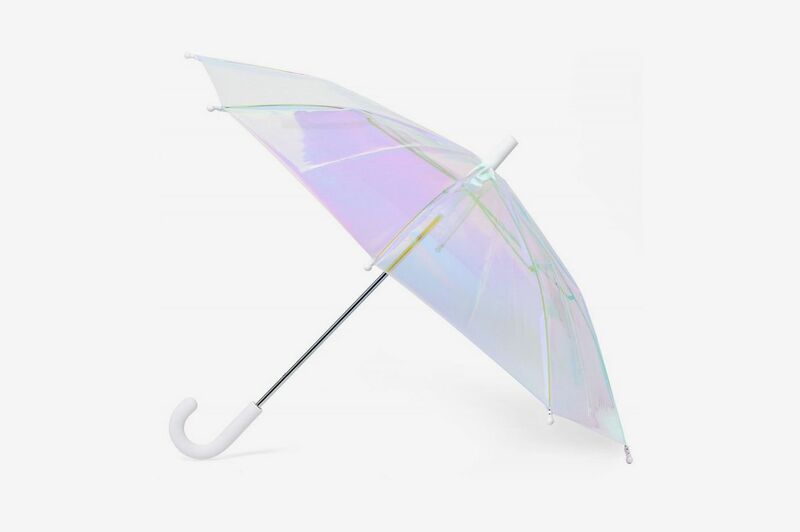 Joshua David Stein, suggests this iridescent, holographic umbrella. “It’s like gazing upon a permanent bubble or seeing the world through a flexible lens of mica.” And this umbrella isn’t just easy on the eyes — it’s also pinch-proof and poke-proof. Plus, it also has a buttonless, easy release and a matte rubber handle to make it effortless (and safe) for kids to carry on their own. 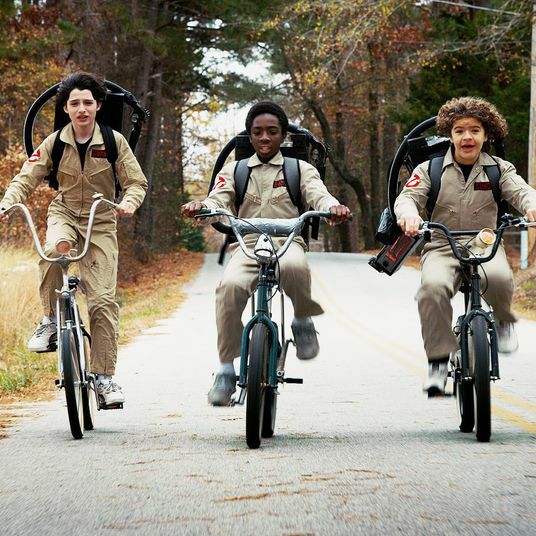 “They’re well-made. 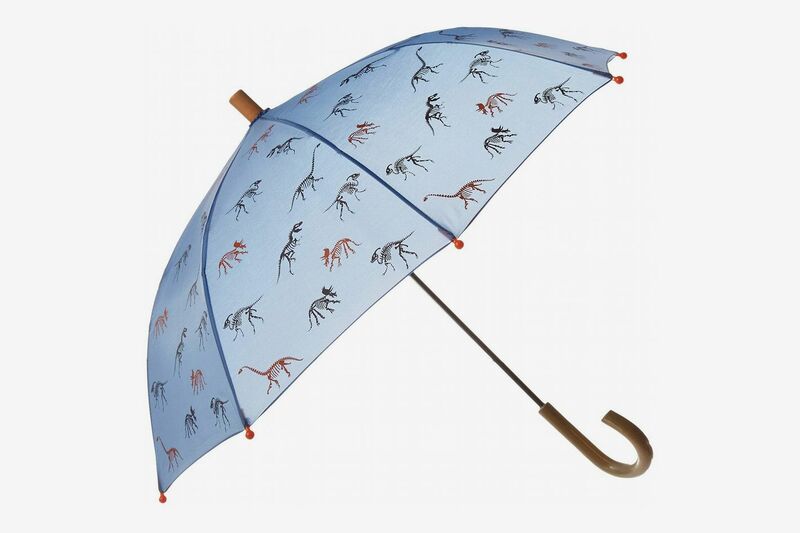 I mean, these umbrellas have no business being this visually pleasing.” And yes, they do make one for adults too. 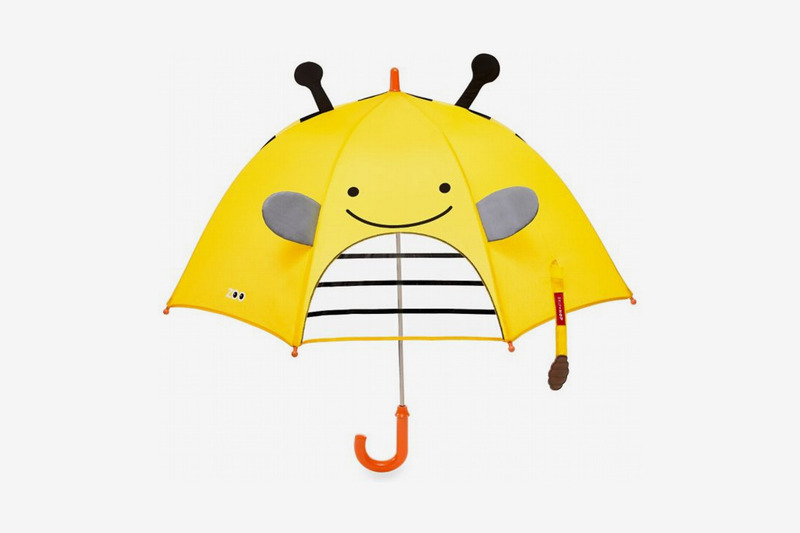 Neuman also loves this sweet bee umbrella for its pint-sized proportions and peek-a-boo window. While adults may steer clear of a see-through panel, it’s definitely helpful for kids to see where they’re going to prevent accidents. “Its cheery character motif (complete with 3-D antennae!) 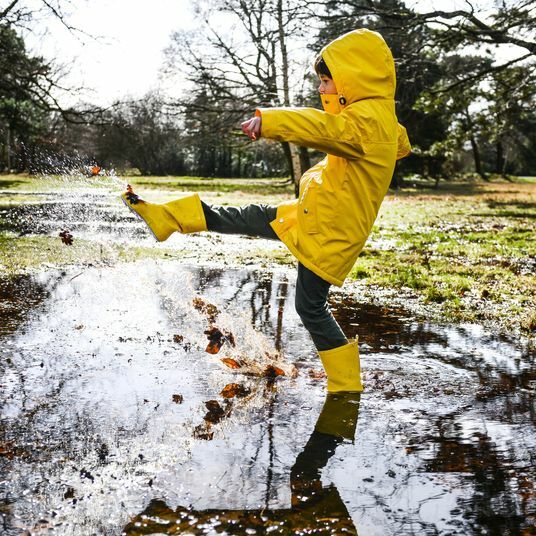 is the perfect way to brighten a cloudy day and get little ones excited to frolic in the rain,” she says. 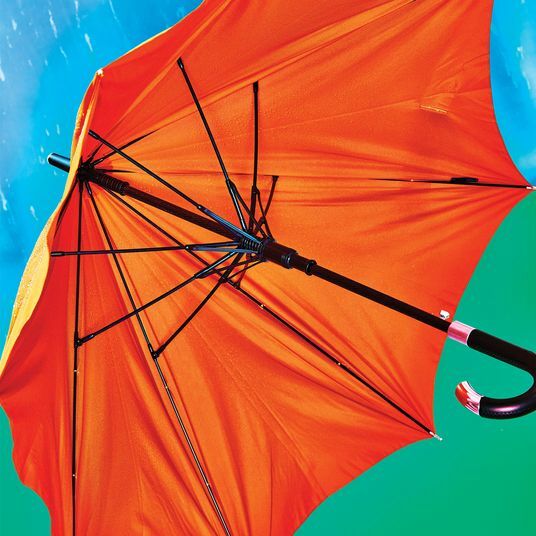 “A trend we’re loving right now is the color-changing kids’ umbrella. This one from Hatley (a go-to brand for kids’ raincoats and boots) also has an easy-to-grasp curved wooden handle and a kid-safe closure,” says Neuman. The color-changing dinosaurs are also sure to delight both kids and the young-at-heart alike. 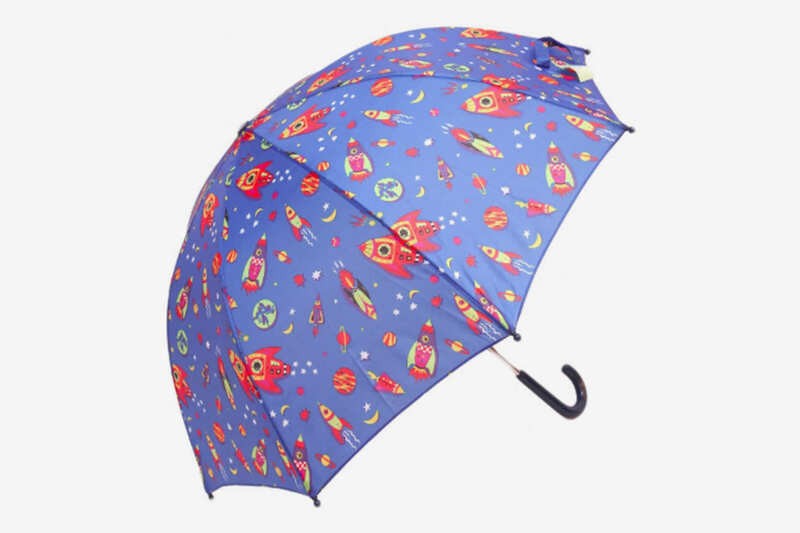 “My two boys love anything with spaceships,” says Goddard, so this “bright rocket umbrella” is a no-brainer. The polyester material and plastic handle are super lightweight and is especially suitable for younger kids. 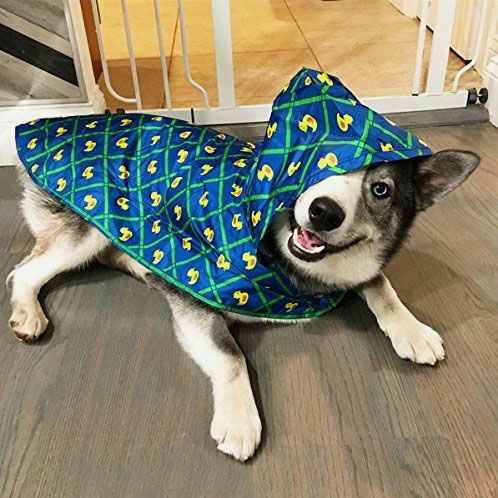 Schmitz also likes these umbrellas from Kidorable for their affordable price point, plus “their umbrellas have ears!” Kidorable also makes a line of matching rain jackets and boots for an extra dose of cute. 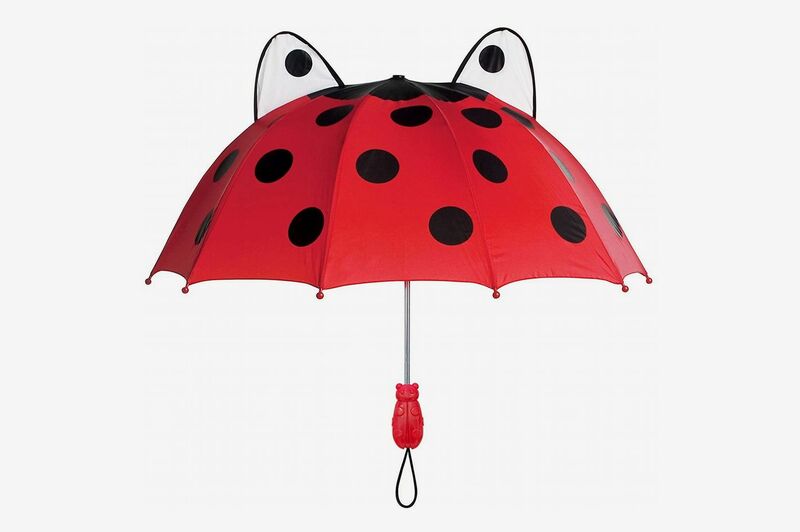 We recommend this adorable ladybug. And you can’t go wrong with this delightful frog.